Did you forget that your ACT exam is coming up? Perhaps you purposefully put this information out of your mind as some form of denial. Do you feel like this … ? Don’t. There’s no need to panic. Believe it or not, you have plenty of time to prepare. But you should probably stop procrastinating and get started immediately. If your ACT is this weekend, then you have my permission to postpone some of your other important tasks (volunteering, after school activities, studying for AP exams) and focus your efforts on ACT prep. You just need a few days of concentration and mental preparation, and then it’ll all be over. Let’s get started. 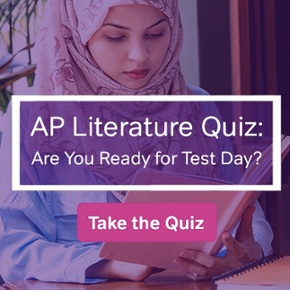 Before taking the ACT, it’s super important that you understand the format of the test, the types of questions you can expect to see, and how the test will be scored. A complete list of what you should bring to the ACT, as well as tips for remaining calm, focused, and relaxed. Don’t make these mistakes! Discover the top ten faux pas that you’re likely to make on the ACT, and how to avoid them. You may have procrastinated on starting your ACT prep, but there’s still a lot you can learn in a week if you follow this schedule. Grab the materials, commit to studying a little bit every day, and start practicing! For many students, the ACT tests just seem to go by too quickly. The number one way to get a higher score on each test is to ace the pacing. Learn strategies for doing just that. Our own ACT Expert, Kristin, took the last ACT and wrote about her experience. Gain some insight into Saturday’s exam by reading Kristin’s main takeaways from the February test. Finally, if you are legitimately panicking (maybe you completely forgot about your ACT and are double-booked this Saturday), then you’ll want to read this post. The next ACT exam is on June 10, 2017, and you have until May 5th to register. Go ahead and change your test date if it’s absolutely necessary. And that’s that! If you’re worried about a specific ACT test, then go ahead and peruse the section-specific posts on our blog, or read our test-specific ACT Study Guides. 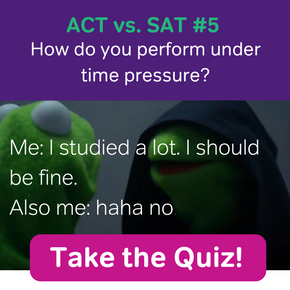 You are just days away from being done with your ACT! Make sure that you have something fun planned for Saturday after the exam, so you can celebrate and blow off some steam. If you have any questions in the meantime, don’t hesitate to ask us in the comment section below.